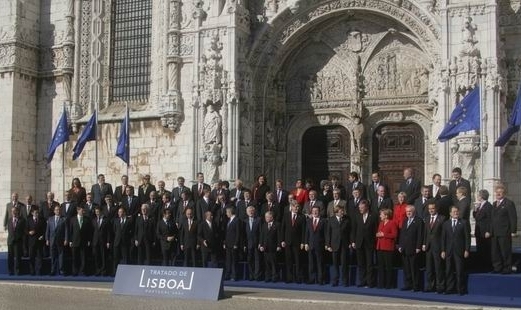 The treaty, so named because the initial signing by the EU’s members was at Lisbon, Portugal, is a replacement for a failed constitution that aims to streamline the EU’s voting procedure and increase its efficiency, amongst other changes. It is also intended to simplify efforts and may even introduce the possibility of motions proposed by citizens. It amends the Maastricht Treaty, also known as Treaty on European Union, and the Treaty of Rome, also known as the Treaty establishing the European Community. Finland’s parliament voted to ratify the treaty by 151 votes to 27. The votes against came from most of the Left Alliance‘s MPs, a small majority of the Christian Democrats, the True Finns, three Social Democrats and three MPs from the ruling Centre party. The Estonian Riigikogu also ratified the treaty. Foreign Minister Urmas Paet said that the treaty focused on areas of key importance to the nation, saying “This is the first time that this sort of basic treaty will address, for example, a common European Union energy policy.” He also said that it would negate the arguments against further expansion. The Greek ratification likewise went smoothly. The EU welcomed the Greek approval, with European Commission President Jose Manuel Barroso saying “I would like to congratulate Greece on the successful approval of the Treaty of Lisbon by the parliament earlier this morning. I want to thank the Greek government and parliament for their unwavering support for the European Union and the new treaty.” However, the opposition parties in the Greek government have requested discussion in Parliament of the possibility of conducting a referendum on the treaty; that debate is set to begin on June 17. The treaty has already been ratified by Hungary, Slovenia, Malta, France, Bulgaria, Romania, Poland, Slovakia, Austria, Portugal, Denmark, Germany, Luxembourg, Latvia, Lithuania, and the European Parliament. Voters in Ireland went to the polls today, the only country holding a referendum on the matter.